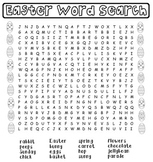 Use this cute word search during Easter. 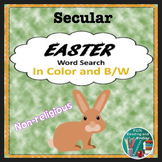 It includes 16 Easter terms. 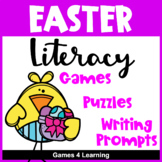 The words are: rabbit peeps Sunday chick Easter bunny eggs basket spring carrot hop sunny flowers chocolate jellybean parade Use this as a time filler or during ELA time! Enjoy!! 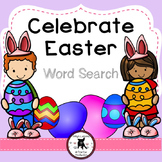 Free Easter Word Search Worksheet. 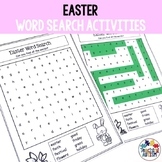 Search and find these Easter Themed Words: BASKET GRASS EGGS TULIPS BUNNY FLOWERS SPRING CHICK CHOCOLATE SUNDAY DECORATE JELLYBEAN HUNT CANDY BONNET Brought to you by Have Fun Teaching! 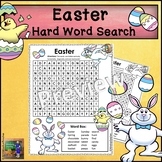 A St Patricks Day & Easter themed word search pack including 8 different word searches in black & white and color. 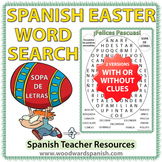 Color words, number words, and DOLCH and FRY sight words are included. 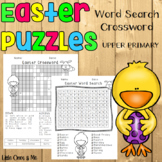 Each puzzle contains ten words. Perfect for kindergarten, first, or second grade! 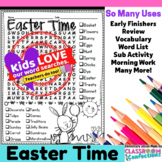 Need something for your early finishers, morning work, or just because right before Easter? 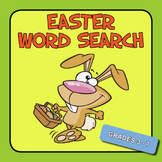 Well, check out this Word Search, Easter Scramble, and Writing Prompts. 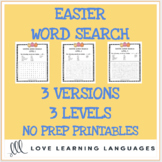 There are 15 words for your students to search and unscramble and 2 writing prompts.